Tiffany's Online Finds and Deals: Sunbeam 1.7cu. ft. Mini Refrigerator ONLY $58 SHIPPED! Sunbeam 1.7cu. 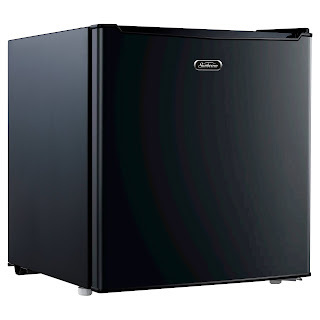 ft. Mini Refrigerator ONLY $58 SHIPPED! Need a mini fridge for college? Check out this Sunbeam® 1.7cu. ft. Mini Refrigerator for ONLY $58 FREE SHIPPING at Target. This would be a great man cave fridge too! • Product Dimensions-Depth 19.09" x Width 17.48" x Height 19.49"
This compact refrigerator is the perfect addition to any dorm or office space. Click HERE for Printable grocery coupons.